Take advantage of ordering online ahead of time. This will ensure that the scrip of choice will be available and reserved. The Bookkeeper places the weekly scrip order every Monday morning so please have all orders in by Sunday evening. A variety of cards are available in stock, and there are many more vendors online. Ordering instructions will follow once enrolled. Families can pay online via Presto Pay or pay for orders upon pick up. In order to use ScripNow, families need to be enrolled in Presto Pay. Please contact our Bookkeeper, Mrs. Jenna Heinz at jheinz@peacehartford.org with any questions. 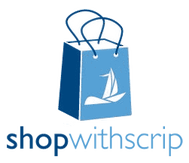 Any pre-ordered scrip can be picked up on church sale weekends or in the school office. Scrip is sold in the school atrium on Monday and Friday before school. Scrip rebates are accumulated and applied to Tuition accounts in September, December and May. 50% of all rebates are applied to the family tuition account and 50% stays with PTA.